Tapungato/ShutterstockCommuters waiting for their train in a MBTA station. could change the way we predict and prevent public health outbreaks. 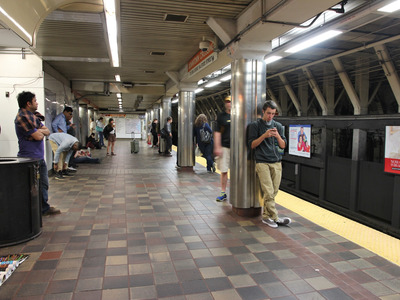 This is good news: Travellers riding the Boston subway face less harmful germs every ride than one might have expected. And importantly, now the researchers have a baseline for future comparisons. This means that if there is a public health outbreak, scientists might detect it early on by comparing their study results with new swabs.